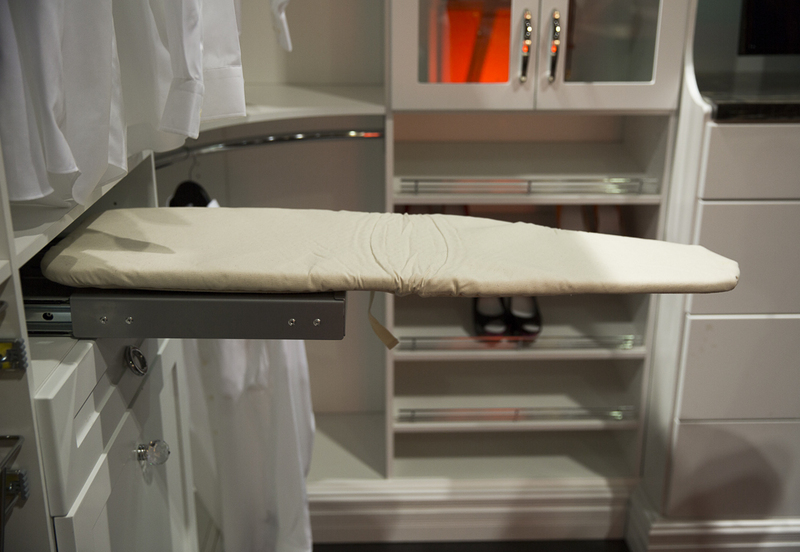 The ironing board storage idea that was most popular for us at this years National Home Show was the hide-away ironing board system that extends for easy access, and then once finished with all your ironing, this board quickly and easily folds up and away back into your dedicated space. This ironing board takes up very little space so it is great for laundry rooms, closets, dorms, and condos to just a few. It measures less than 14 inches deep by 6 inches in height when in the stored position.